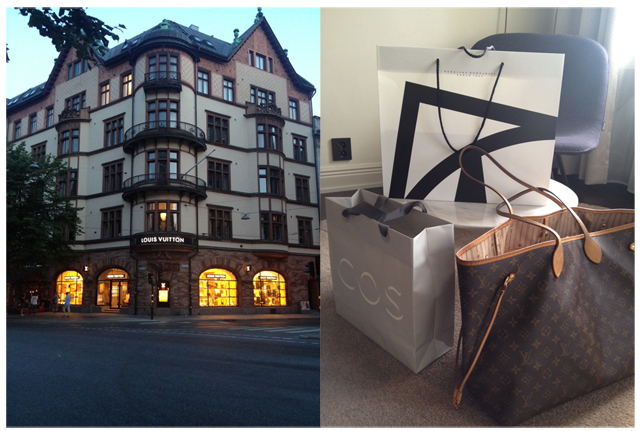 A weekend shopping in Stockholm... Anyone would have thought I was in heaven for 48 hours and actually you'd be correct in thinking such a thing. I arrived in Stockholm in the last week of July, which also happened to coincide with one of the last weekends of the summer sales happening around the city. 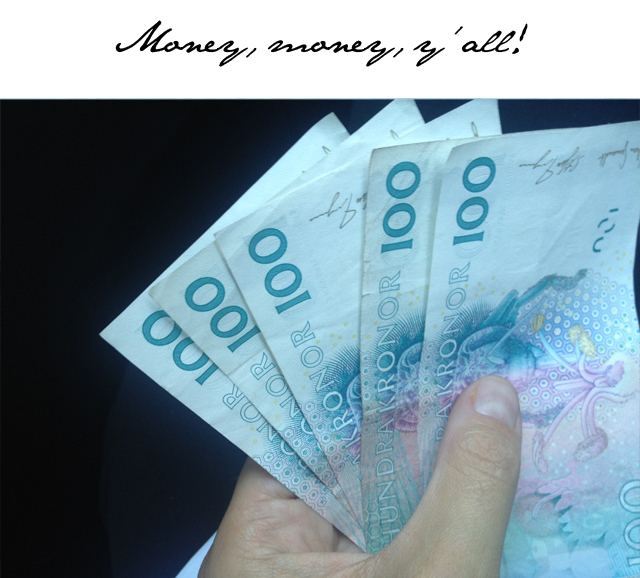 While I've heard Stockholm is a place to find some fabulous bargains, I was truly stunned by just how many bargains I found because of the seasonal markdowns. 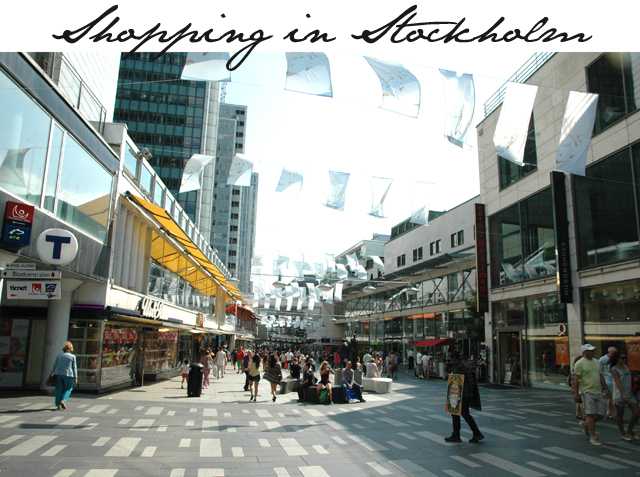 So let's start this off by saying that if you're looking for a place to shop the sales, put Stockholm towards the top of the list. Stockholm shopping isn't just for sales season, I should point out. Let's take Acne brand lovers for example. If you're a fan of the brand, you'll find no better shopping destination on earth, as Acne seems to be remarkably cheaper here. I was also lucky to have the main store next to my hotel, The Nobis, but truly there are more Acne stores here than there are Gaps in my hometown in America. It is the chic thing to wear and I must have spotted at least three dozen people out and about wearing the latest and greatest from the brand. It's also rumoured there's an Acne outlet... a shame no one told me about this when I was there! But these are just observations. 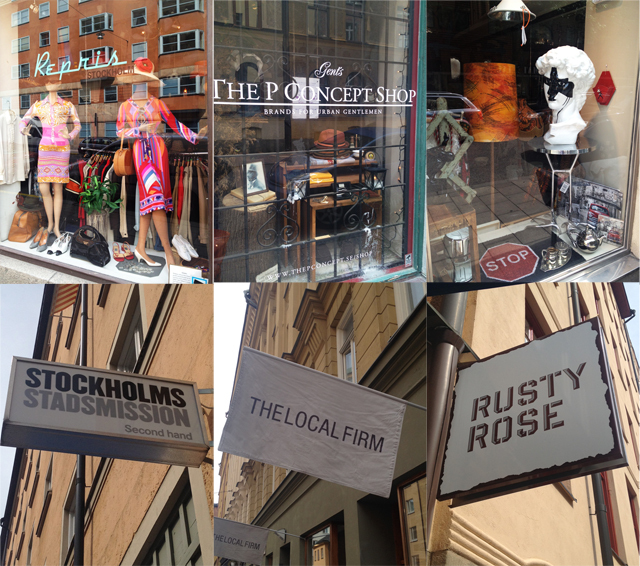 Let's get down to the nitty gritty in where to shop in Stockholm. 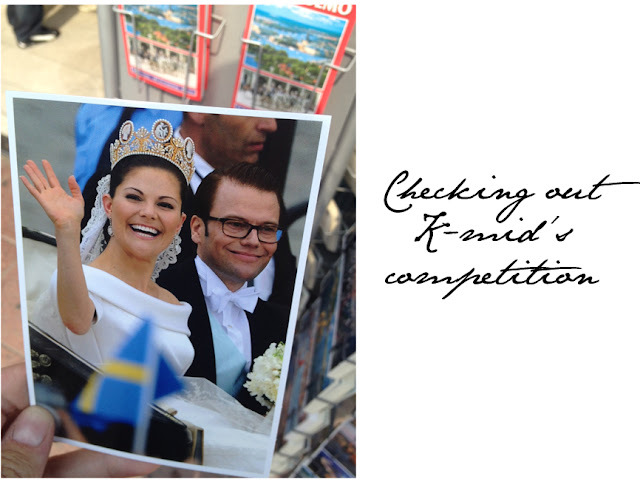 Before I arrived in Stockholm I had a list of places to go, provided for me by the best designers from the city itself. To be quite honest, I read this list and decided to follow it to the number. I found in doing so I basically saw everything and filled an entire 48 hours. I also had some sore feet at the end of this adventure (must remember to pack Converse on the next trip). So here's a list of where to go and what to see while shopping in Stockholm, from the people that know the city the best - the residents! 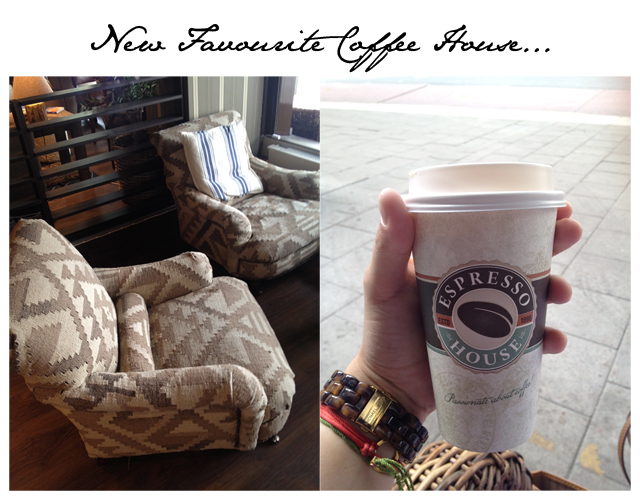 It is followed by pictures of a few things that weren't on the list but are definitely worth mentioning! First up we have the designers Cheap Monday. They suggested I visit the Sodermalm district in downtown Stockholm. Here I discovered everything from the biggest H&M store I've ever seen to a massive Monki where I shopped so much I had to go back to the hotel to deliver my purchases before I could step into another store. I then doubled back and headed to Svensk Tenn. This was an interiors store recommended by Filippa K. It's a store that is truly legendary and one which had me spending too much time thinking about transforming my entire flat and office. I daydreamed, looked at prices and tried to imagine how much I could spend before the the designers would throw in free shipping to London. This is a place that is not to be missed, whether you are redecorating or not. It's a building full of atmosphere and inspiration. As I was discovering shops on my own I discovered one street, just a stone's throw from the Nobis, which must be mentioned. Biblioteksgatan is a street that deserves to be shopped. It is not optional. This is a must. Why? Well not only does it have the biggest COS store I've ever seen, but right across the street is the home of Stockholm's Ralph Lauren. Really do I have to say anymore? This street is lined with desirable designers. So make sure it's on your to do list. "Sofo" baby! I absolutely love that Filippa K and Acne recommended that I visit this part of Sweden. I spent one whole day here. 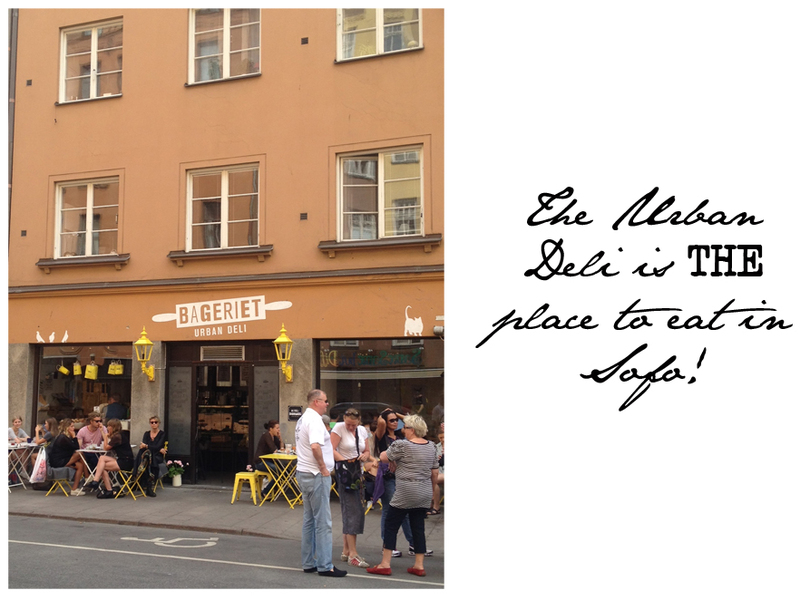 Named "Sofo" for it's location, south of Folkkungagatan in Sodermalm, this is like a Soho away from New York City. 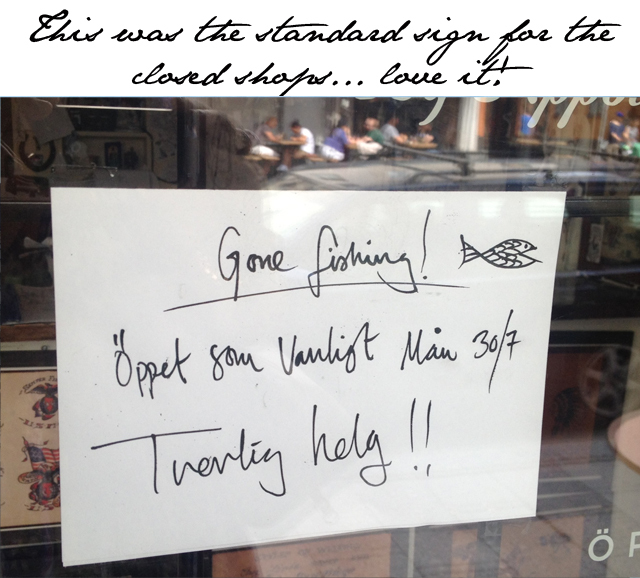 It's streets are filled with second hand shops alternating with cool contemporary boutiques. Here the shop keepers are more stylish than any human beings I've ever seen walking the streets (excluding the fashion week attendees that come out twice a year around the world). Between shops I stopped into Acne's recommended watering hole called the Urban Deli. I even took a "Fika" (coffee break) with an interesting shop owner who was selling lots of American finds and had a Charlotte Hornets jacket in his shop window. Representing the home town... of course I had to buy this man a cup of coffee! Souvenir shopping... Not to worry on this front as I don't have to give you any one address in particular here. You'll find places to buy souvenirs everywhere. From "I love Swedish Boys" t-shirts to postcards to send home to the family, there are plenty of things to buy to make it look like you actually did things other than just walk in and out of shops all weekend. NK department store. 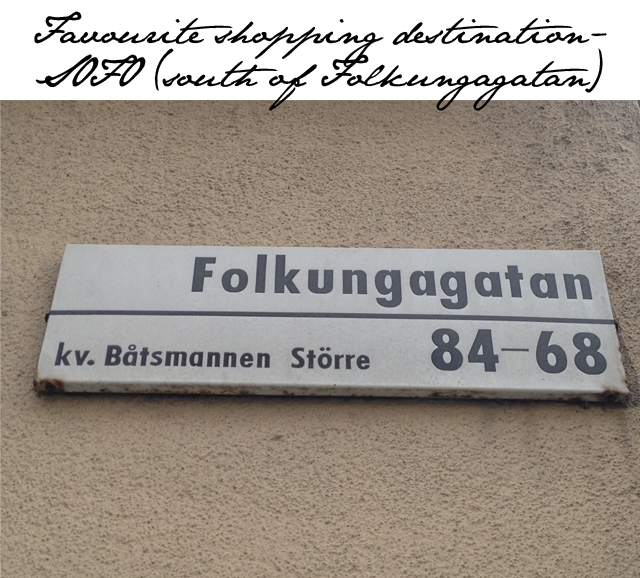 There are a few department stores in Stockholm but I find NK is the one that the locals really treasure the most. This is the closest thing to Saks Fifth you'll find in Sweden. I actually managed to grab a pair of Ralph Lauren sandals with a 90% reduction in price shopping in this massive store. You will find an immense selection of designers on the sales floor here and you'll be hard pressed to leave without at least one shopping bag in hand. And last but not least I went to IKEA. Just kidding!!!! Hope this helps you guys if you're travelling to Stockholm. Enjoy the beautiful scenery, mix and match culture with shopping and allow yourself to get lost. It's an easy city to navigate so you'll always find your way home, but allow yourself a wander and you'll never know what you'll find!